CBSE Class 10th Result 2018- Class X Result declared: CBSE Result 2018- CBSE 10th Result Declaring on This Date on cbse.nic.in. Check Details. The CBSE 10th Result 2018 will be released by the Central Board of Secondary Education on its official website cbse.nic.in. The CBSE Class 10th examination was conducted successfully by the Central Board of Secondary Education from March 5 – April 4. The results of CBSE Class 12th and Class 10th Board examinations conducted by the Central Board of Secondary Education are likely to be released in a few days. 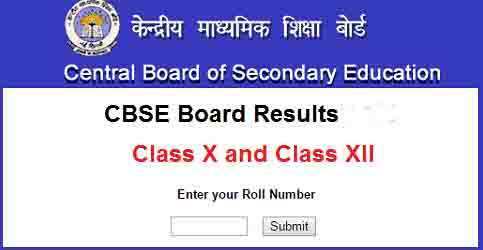 As per media reports, the CBSE will announce the results on its official website -cbse.nic.in. The results of the Central Board of Secondary Education (CBSE) Class 10th are likely to be declared by the Central Board of Secondary Education on 29 May, according to a media report. CBSE will release the results on its official website: cbse.nic.in. The CBSE Class 10th exam was conducted successfully by CBSE from 5 March to 4 April, according to a report in News18. The results will also directly be available on Google search for the first time this year. Until now, students used to go to Google search, from where they were redirected to the portals hosting the results, and then they logged into the website to check their results. In 2018, 28.24 lakh students registered to appear for the CBSE board exams. Of these, 16.38 lakh students (16,38,428) appeared for the Class 10th boards and 11.86 lakh students (11,86,306) appeared for the Class 12th board exams in 2018. Pass percentages have stooped down this year in many State Boards. While mark moderation is said to be a reason for this; many Education Ministers have said that strict measures adopted during the exam have led to a fall in the pass percentage. Even last year Central Board of Secondary Education (CBSE) class 10 pass percentage fell down by 6 per cent than it was in 2016. CBSE board results will be released on cbseresults.nic.in and cbse.in.